What do you get when you put Bradley Whitford, Janel Moloney, Joshua Malina, Richard Schiff, and Aaron Sorkin in a room together? You get a West Wing reunion. Recently, the Today Show sat down with various cast members to discuss the NBC series’ 10-year anniversary. Created by Sorkin, the political drama ended in 2006 after seven seasons. Sorkin left the series as showrunner after season four. As Sorkin says in the interview, the whole cast and him haven’t reunited since he left the series 13 years ago. During the discussion, Sorkin said he’d revive the political drama if he could protect the original series’ legacy. The rest of the cast said they’d join a reboot in a minute. What do you think? Are you a fan of The West Wing? Would you watch a revival? 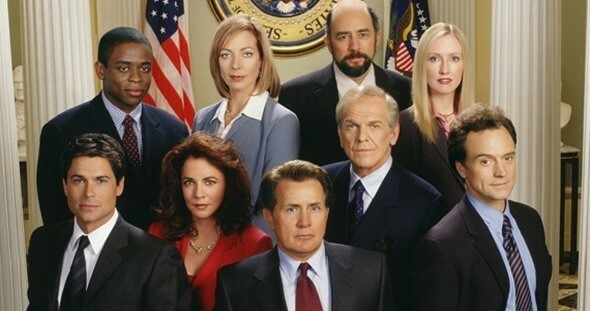 More about: The West Wing, The West Wing: canceled or renewed?